– The Rangers defeated the Philadelphia Flyers, 5-2, today at Wells Fargo Center for their sixth win in eight games, and are now 18-5-1 in their last 24 games. – New York has posted a record of 35-13-5 (75 pts) on the season, including an 18-7-3 mark on the road. – The Rangers extended their winning streak against the Flyers to seven games, dating back to a 7-0 win at MSG on Mar. 6, 2011, and have out-scored the Flyers, 29-10, during the streak. New York now owns a 5-0-0 mark against Philadelphia in the season series, including a 2-0-0 record at Wells Fargo Center. – The Rangers improved to 11-3-1 against Atlantic Division opponents this season, having out-scored their opponent, 47-30, in divisional play. 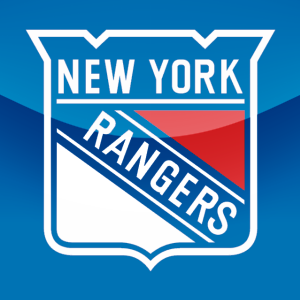 – The Rangers’ .708 win% through 53 games is the team’s best start in 39 years, when the 1972-73 Blueshirts began the season with a 36-13-4 record (.717 win%), and is tied as the second best start in franchise history. – The Blueshirts have won seven of their last nine road games (7-1-1 over the span), and are 13-3-1 in their last 17 games away from MSG. – New York improved to 7-0-2 in the first game of back-to-back sets this season, including a 4-0-2 mark on the road. The Rangers have posted a record of 13-1-3 combined in back-to-back games. – The Rangers’ power play notched a season-high, three goals in seven attempts (10:20), while their penalty kill held the Flyers scoreless in four shorthanded situations (8:00). The last time the Rangers tallied three or more power play goals in a single game was in a 6-3 win on Mar. 15, 2011, vs. the New York Islanders (3-5 on the power play). The Blueshirts improved to 18-1-2 in games when tallying a power play goal, and are 25-6-2 when not allowing a power play goal. – The Blueshirts maintained their five-point lead over Boston for first place in the Eastern Conference, and pulled to within one point of Detroit for first in the league overall. – Ryan Callahan notched his second career hat trick with three goals, including two on the power play, and registered a game-high, seven shots on goal in 20:38 of ice time. His third goal was his 40th point of the season, marking the third time in his career he has reached that mark. Both of Callahan’s hat tricks have been against the Flyers, with his first career hat trick being tallied in a 7-0 win on Mar. 6, 2011 (four goals). He has now tallied nine points (seven goals, two assists) in the last 10 games, and is three goals shy of 100 career NHL goals. Callahan is currently tied for fourth in the NHL with 10 power play goals on the season. – Marian Gaborik registered a season-high, four points, with one power play goal and a season-high, three assists (two on the power play) in 18:24 of ice time. He has now recorded 14 points (four goals, 10 assists) in the last 11 games, and leads the team in scoring with 48 points on the season. Gaborik is currently tied for fifth in the NHL with 27 goals. – Henrik Lundqvist made 31 saves to improve to 25-11-4 overall, including a 13-5-2 mark on the road. He is now 5-1-0 with a 1.14 goals against average, .959 save percentage and two shutouts in his last six games. Lundqvist has held opponents to two or fewer goals in 28 games this season, and is 10-5-1 with a 1.97 goals against average, .944 save percentage and two shutouts in 16, 30+ save games. – Brad Richards tallied a season-high, three assists, including two on the power play, and has now registered five points (one goal, four assists) in the last four games. – Derek Stepan recorded two assists, including one on the power play, and won 5-8 face-offs (63%) in 18:28 of ice time. He has now registered six points (one goal, five assists) in the last four games. Stepan’s first assist of the contest established a new career-high for most assists in a season. – Artem Anisimov notched a goal and registered five shots on goal in 16:25 of ice time. He has now tallied five points (two goals, three assists) in the last three games, and is one point shy of 100 career NHL points. – Carl Hagelin tallied the primary assist on Callahan’s third goal of the game, and he has now recorded eight points (one goal, seven assists) in the last 10 games. – Michael Del Zotto recorded a power play assist and was credited with three hits in 21:49 of ice time. He has now tallied 23 points (five goals, 18 assists) in the last 34 games, with six points (two goals, four assists) in the last seven contests. – Brian Boyle was credited with a game-high, seven hits, and has now registered 21 hits in the last four games. – Ryan McDonagh led all skaters with five blocked shots, and he now leads the team and is currently tied for third in the NHL with 134 blocked shots on the season. – The Rangers will return to action when they face-off against the Washington Capitals tomorrow, Feb. 12, at Madison Square Garden (12:30 p.m.), to conclude their back-to-back set. The game will be televised live on NBC and can be heard on 1050 ESPN Radio. This entry was posted in Hockey, New York Rangers, NHL, Sports and tagged Atlantic Division, Blueshirts, Brad Richards, Flyers, Henrik Lundqvist, Madison Square Garden, Marian Gaborik, New York, New York City, New York Ranger, New York Rangers, NHL, Philadelphia, Philadelphia Flyers, Ranger, Ryan Callahan. Bookmark the permalink.